Hello again! I have been trying to think of the name of this film for quite some time (years), but I just never can. It was a late 80’s or early 90’s horror film involving a group of teenagers getting lost in an evil dojo or something similar. Maybe there was a part involving an asian restaurant. 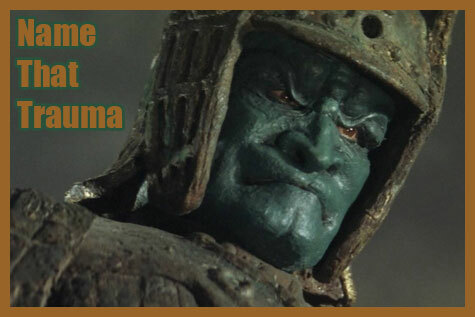 My longing to find out which movie this is was sparked today by seeing something referring to DAIMAJIN. 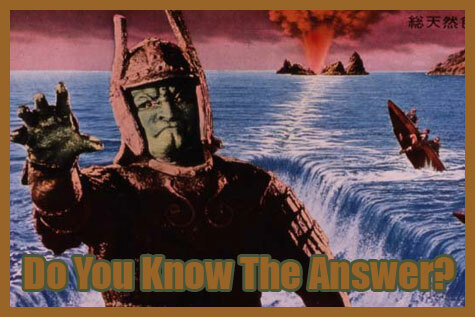 Even though those movies were from the 60’s, there is a particular scene in the film I am trying to remember that involves a statue that is slightly larger than a normal person that resembles a Daimajin (except it is not gigantic) coming to life and grabbing a member of the group as they are walking around the creepy dojo (or whatever it is) and pulling them off into the shadows. That is all I really remember, but the movie totally scared me when I was younger! I was wondering if you or anyone else can help me find this film or experienced the film when they were younger. Thanks so much! I’m probably wrong but the only one that comes to mind is The Seventh Curse from 1986. I haven’t seen it, but maybe 1987’s The Outing? The Outing is also known as The Lamp. You can watch it here. These are great suggestions and thanks for the links! I was really beginning to think it must be THE OUTING/LAMP but I couldn’t find a scene that fit when I watched it last night. What a fun movie though- much better than I remember! BTW, Scream Factory is going to release THE OUTING soon (in Sept) as part of a four pack. I think it will be worth getting and seeing all cleaned up! I’m a sucker for those 80’s special effects. hey all! it is andrew who originally submitted the question. sorry for the delay in a response; i am glad the site is back to fully functioning! thanks so much to each person for responding. after looking at them all, i am most struck by Bloody New Year. the part at 1:20 in the preview may be the part i referenced above which involves the thing “coming to life and grabbing a member of the group,” although i remember it being much more subtle with less screaming. the scene at 1:53 really strikes a chord too. i am not sure why. if it is that, i just do not know from where i am getting all the Asian inspired memories. it it just so interesting to me how our childhood remembrances have such a strange light to them. i guess that is just how it goes. thanks so much everyone!